State Bank of India is one of the oldest banks of India. The bank was founded in 1955. It is a government-owned bank of India. The bank provides so many financial products to the customer. It includes banking, loans, insurances, credit cards. It is a public sector bank. Under loans, it provides a personal loan, a gold loan, a car loan or a home loan, but the personal loan is a widely purchased product. The bank has been serving the people for so long, so people trust the policies of the bank. A personal loan is a type of loans. In this kind of loan, you borrow the money from the bank at some rate of interest for a given period of time. You have to return this amount of loan with the rate of interest within the tenure of the loan. Furthermore, SBI personal loan comes under the category of unsecured loans. It means the bank would not ask for any collateral to you. You don’t have to pledge any of your property as a security to the bank. Where Can You Use Your Loan Amount? You can use this amount of personal loan according to your needs. You can make the use of loan amount to fulfill any of your personal need. The good thing about the SBI personal loan is that the bank wouldn’t ask you the reason to get the personal loan neither the bank puts any restrictions on the use of the loan amount. Here some basic uses of a personal loan are given. Most people get a personal loan for wedding purposes. This is quite obvious because the wedding day is very important to a person, everybody wants to make it beautiful as they can. After that, if somebody is having a problem with his/her education or the education of their children then also they prefer to get a personal loan. Besides that, some people prefer to get a personal loan to boost up their business. A personal loan can also be helpful for the renovation of the home because the home is a place that is close to every family member and everyone wants to make it beautiful. So this can also be a reason to get a personal loan. Unfortunately, if you are going through any financial crises and having a problem in maintaining your budget then you can get a personal loan. A person can also pay his credit card bills by using an SBI personal loan. In case of any medical emergency, the personal loan is quite helpful. Some people get a personal loan to buy a second-hand car too because while buying a second-hand card it becomes quite troublesome to get a car loan, so they go for the personal loan. Farmers like to get a personal loan for their agricultural activities. SBI Xpress Credit Loan - This is a special scheme for individuals employed in government organizations, PSUs, Leading semi-government organizations and other leading private sector companies. SBI Saral Personal Loan - This loan scheme is for people employed in the corporate sector, or for one who is a self-employed professional such as a doctor, engineer, lawyer, and so on. SBI Loans to Pensioners - This is personal finance that is provided to pensioners and their family who have an existing account with SBI. The family refers to the spouse of an individual who is authorized to receive the pension of a person in the event of the death. SBI Loans to Affluent Pensioners - This is a loan that is offered to pensioners i.e. people retired from central or state institutions, or whose pensions are disbursed by the government or family pensioners. Festival Loan - These loans are provided by the banks to people to pay for any festival expenses for government employees, self-employed individuals or salaried people. If you are an NRI, the SBI personal loan norms may vary for you. The minimum salary criterion for an NRI is Rs. 30000 and you can get only 5 lacs as maximum loan amount. Check SBI personal loan interest rates, list of documents, features, and processing fees, updated as per 2015-16. A Loan without any collateral or security: A Personal Loan is not a secured loan. Banks don’t ask for any security or collateral. So, there is no need of pledging a collateral or security. It is purely given as per the customers' income. A Personal loan is immediate finance provided by the lender to the borrower. The borrower can avail personal loan from any lending institution, private sector bank as well as from government sector banks. 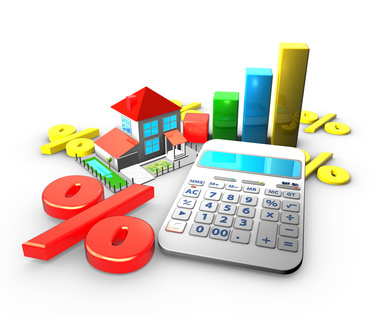 Personal loan interest rates vary according to banks and customer profile. Some Institutions provide special offers to their regular customers like affordable interest rates, low processing fee, affordable EMIs and long tenure period. 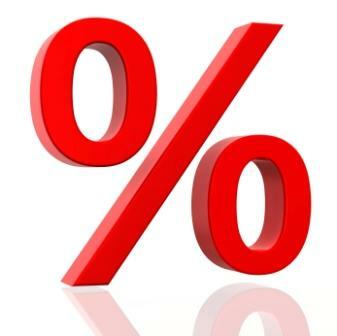 Check interest rates offered by different banks in the country. A personal loan is a finance that is taken by an individual to fund some of their needs in times of urgent situations. This can be to pay off previous debts by an individual, purchase some electronic commodity, pay medical expenses and other purposes. Personal debt is an unsecured loan. However, due to this, the eligibility criteria for the personal loan is strictly checked as the bank takes an enormous risk without taking collateral. Banks ask for salary slips or form 16, bank statements, current address proof and some other documents to process your personal loan. Also, the interest rates charged are higher on these finances as compared to the secured loans like a home loan or a car loan. There are times when we need urgent funding within a few hours. A personal loan is advantageous in such a situation as it is approved within 48 hours, provided the documentation is correct and as required by the lenders. APPLY FOR SBI PERSONAL LOAN AND GET APPROVAL IN JUST 4 HOURS! The personal loan limit is determined by the repaying capacity and creditworthiness of the person. Maximum loan amount: 18 times Net Monthly Income for Salaried Individuals and it may vary as per the profile of an individual. About SBI: State Bank of India, often referred to as SBI, is the leading provider of retail assets in the country. Retail assets refer to the loans that they provide to the people. Asiamoney Polls has awarded the State Bank of India as the Best Provider of Financial Services by the customers. Get a quick approval for your loan application form and track it with the help of Dialabank. Apply now to get detailed information about the procedure. What is the minimum salary to get a personal loan? To get a personal loan the minimum salary of the applicant should be Rs. 18000 per month. How is interest on personal loan calculated? To calculate the personal loan interest rate you can use Personal Loan EMI Calculator. How is EMI on a personal loan calculated? R is the rate of interest calculated every month. Which bank gives the cheapest personal loan in India? However, the ROI depends on your income, job profiles and on many other factors but HDFC is best at providing a personal loan at lower interest rates. You just have to visit www.dialabank.com. After that enter the amount of loan, tenure of loan and interest rate. Your EMI will automatically get calculated. Should I prefer Axis bank for a personal loan? If you are an internal customer of Axis bank then you should prefer Axis Bank Personal Loan.